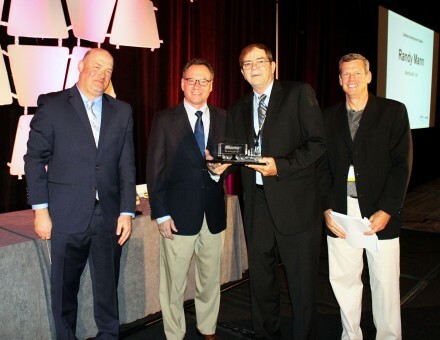 INDIANAPOLIS – Announced recently at Wheaton World Wide Moving | Bekins Van Lines 62nd Annual Partnership Conference in San Antonio, Texas, direct lease owner-operator, Randy Mann, was awarded the Lifetime Achievement Award – the company’s top safety award. Mann has been with the van line a combined 31 years with more than 1.8 million miles of safe driving. He is well-known by his peers in both the van line and the industry for his opinions and advice, especially through social media. He has earned several awards with Wheaton | Bekins, including Driver of the Year in 2004.